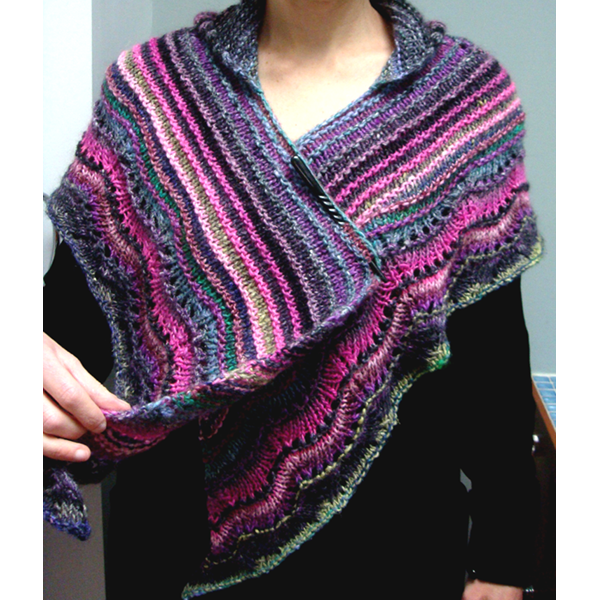 Alice had seen some of my work and wanted to commission me to design and knit a shawl for her. 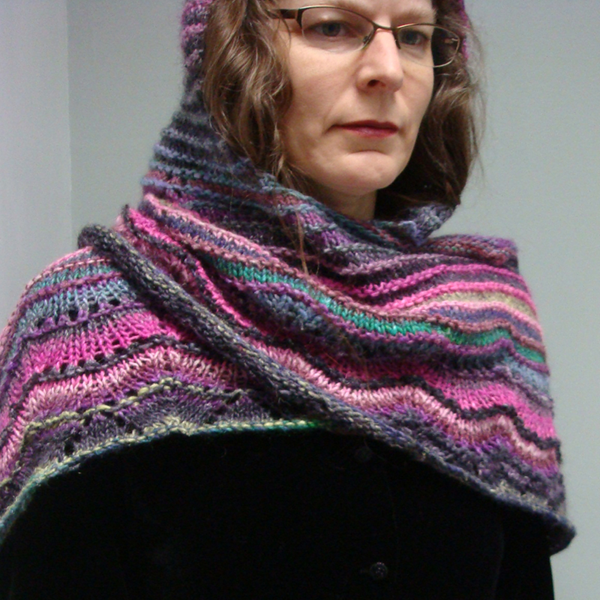 She wanted either something with a hoodie or a shawl, so I made her a hooded shawl. It seemed like a perfect opportunity to use a favorite color-changing yarn. 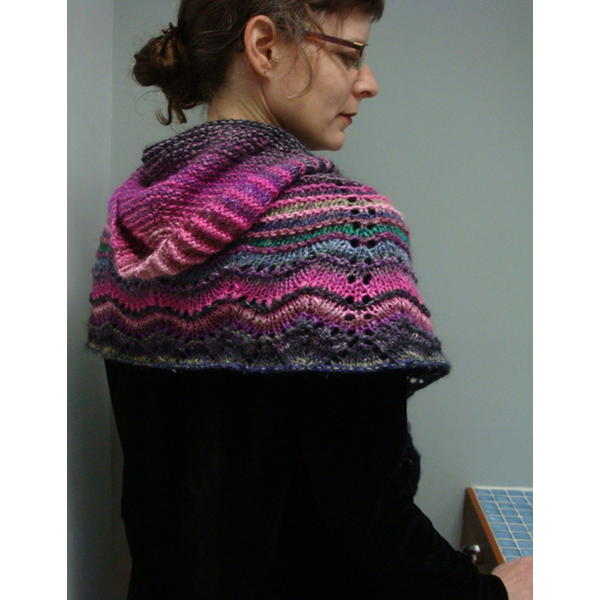 I emphasized these color changes by alternating two yarns of the same colorway and creating both straight and wavy stripes. 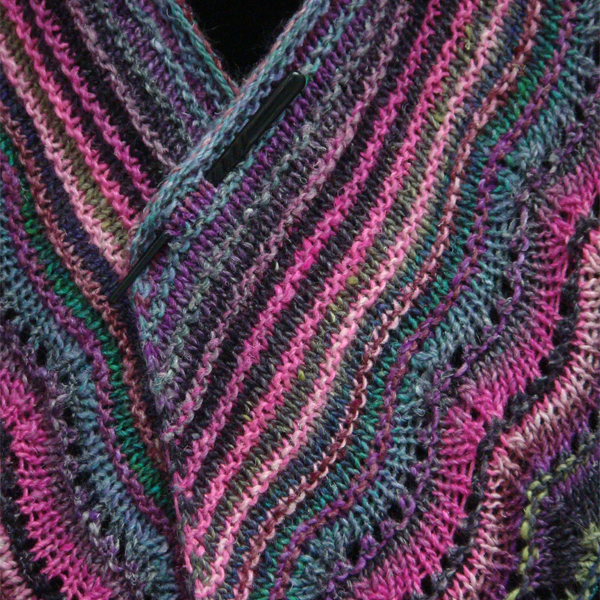 Features of this shawl would later become part of the Summer Sky Shawl.